When you need to add music to a difficult application that does not lend itself to panel mounting the SPLBOX.1 is an ideal choice. 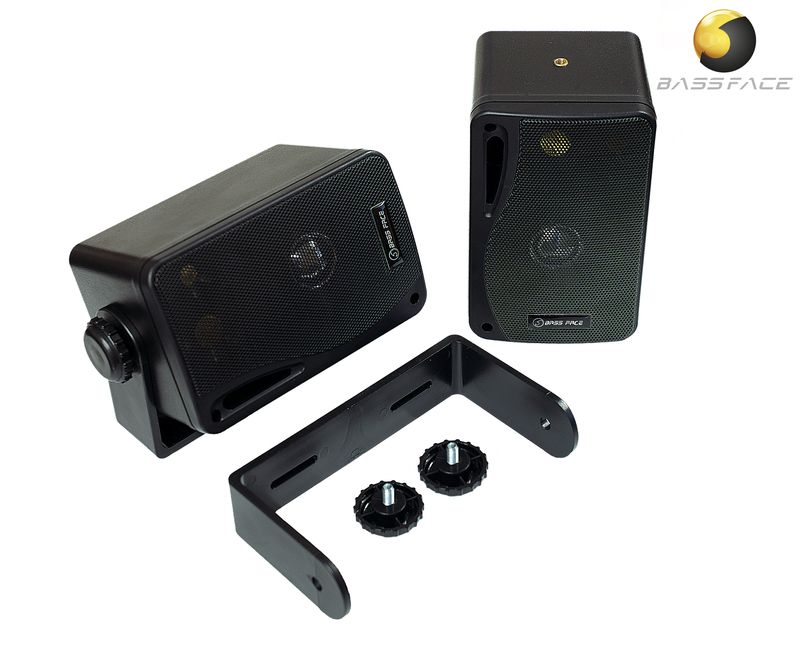 Designed to run off a standard head unit these three way bass reflex boxes offer excellent all round sound quality from a compact package. They can be mounted vertically or horizontally using the included angle adjustable brackets. 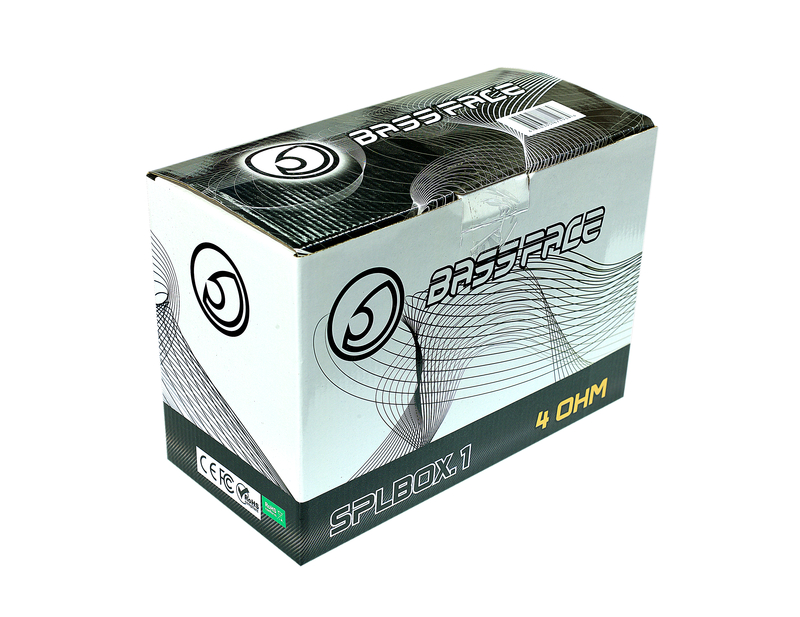 The Bassface SPLBOX.1 has another remarkable feature which is that they are marine ready. 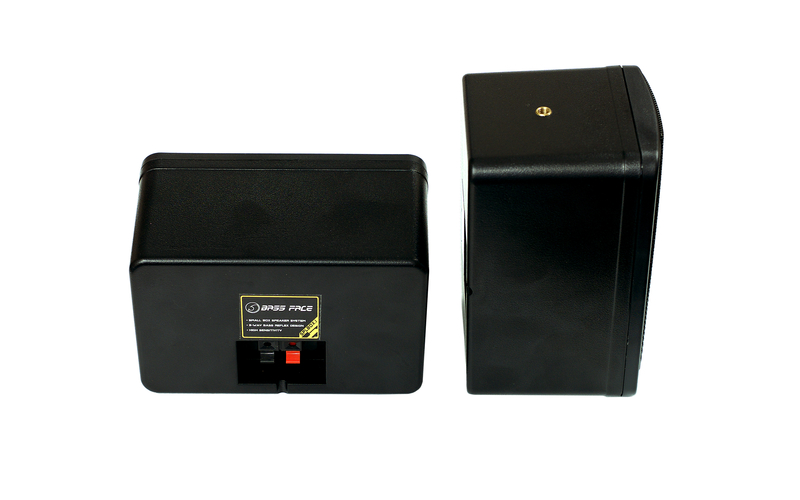 These sturdy little speakers can also be used in a marine environment, thanks to their specially treated speaker components and ABS brackets (see Version History) enclosure. Note that the grilles will require consistent periodic maintenance when used outdoors, since they are made from mild steel with simple coating. Although designed primarily for use in the applications listed above, these fantastic little speakers are just at home in the home, or office, or pub. Offering a good clear sound in a very compact, unobtrusive and versatile package. These can be run with any 4 ohm capable home or pro audio amplifier. Black in colour. SPLBOX.1 is one of our most successful products. 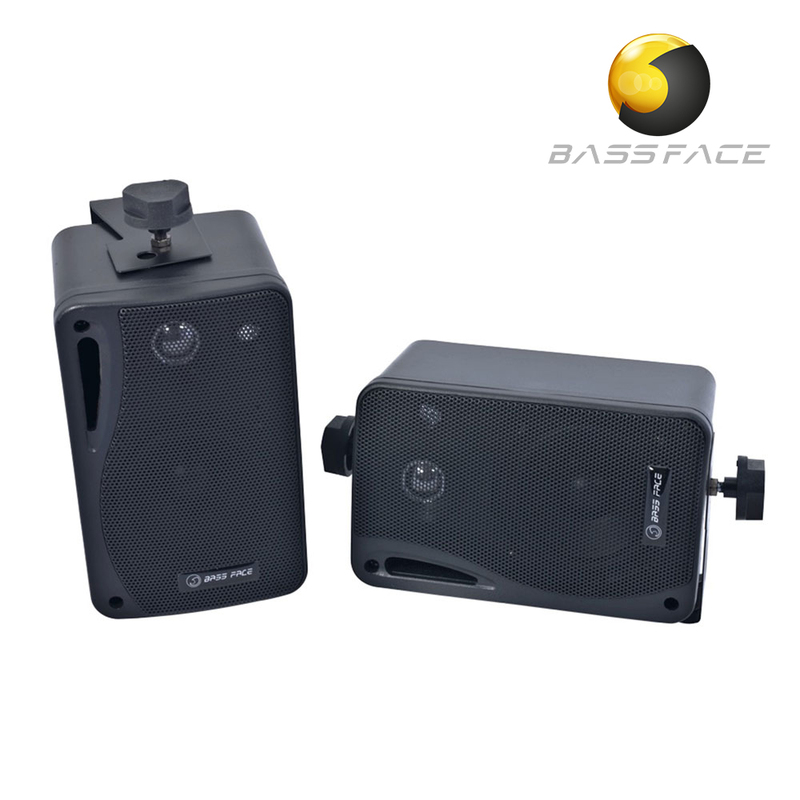 It was designed to provide a simple and effective box speaker solution at an inexpensive price point. V1 – Modified metal bracket arrangement in 2013. V2 – For 2018 Q1 we introduced a revised version of the SPLBOX.1. The outer packaging size was increased and the foam inners were improved to reduce the chance of breakage due to poor courier handling. The metal brackets (which received a measure of criticism for rusting badly) were changed for ABS moulded plastic and the hand knobs that fasten them are of a more streamlined and better looking design. Inwardly we revised both of the tweeters slightly to reduce sibilence and the dust cap on the woofer was changed to a metallic material rather than paper. Performance of the V2 is marginally stronger than the V1 but the revisions are subtle.